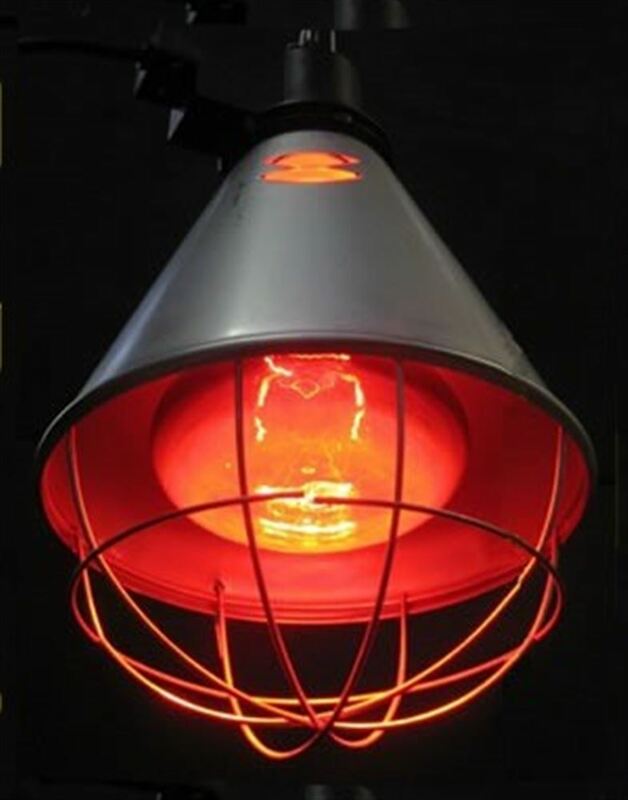 This heat lamp is great for poultry, puppies, kittens, piglets, foaling stables or any small animal that needs some extra warmth. The unit is made in Germany and is fully GS/CE approved. It can be used with standard or energy approved infra red light bulbs of up to 250 watts, all with the screw-in bulb socket. This light comes with a 2 meter long knotted link chain with a ceiling hook, for easy installation. The light has an aluminium protection grill that covers the bulb and has splashproof safety insulation. Made in Germany - CE approved - with UK plug. Takes standard screw-in bulbs of up to 250 watts. Can be used with energy saving bulbs. Perfect for keeping chicks and other small creatures warm.